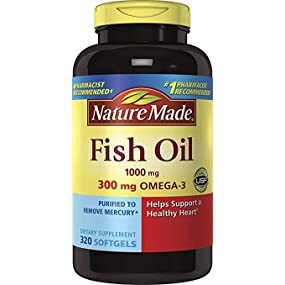 Trust your heart health with Nature Made Fish Oil 1000 mg. Every 2 softgels provide 600 mg omega-3s (500 mg heart healthy EPA/DHA).† Nature Made’s Burp-Less Fish Oil formula is specially coated to help reduce a fishy odor and aftertaste. 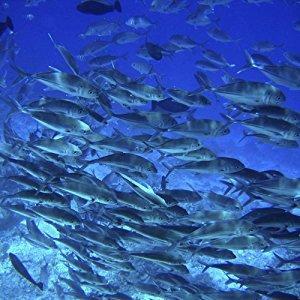 Nature Made fish oil supply comes from wild-caught ocean fish, not farm-raised fish. 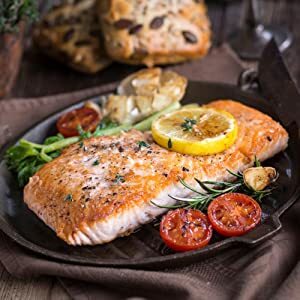 State-of-the-art purification processes remove mercury and ensure high levels of fish oil purity and concentration, guaranteed to pass the stringent standards of the Global Organization for EPA and DHA Omega-3 Voluntary Monograph. 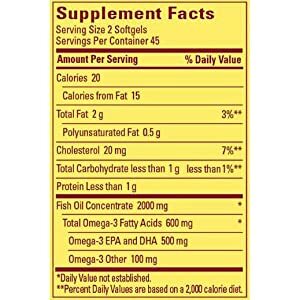 Fish Oil provides EPA and DHA omega-3 fatty acids, which help support a healthy heart.† Supportive but not conclusive research shows that consumption of EPA and DHA omega-3 fatty acids may reduce the risk of coronary heart disease. 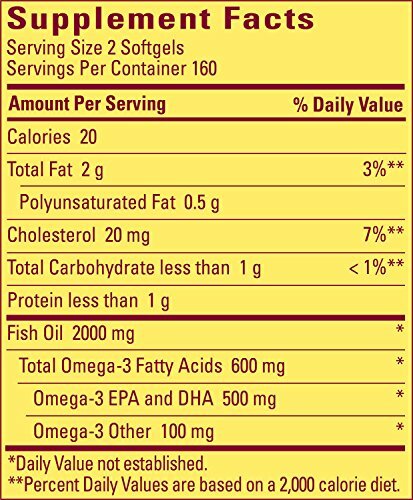 Nature Made offers several types of fish oil supplements that are differentiated by amount of fish oil and omega-3 fatty acids per serving, size, flavor, enteric-coating to reduce fish burps, and form (softgel or gummy). 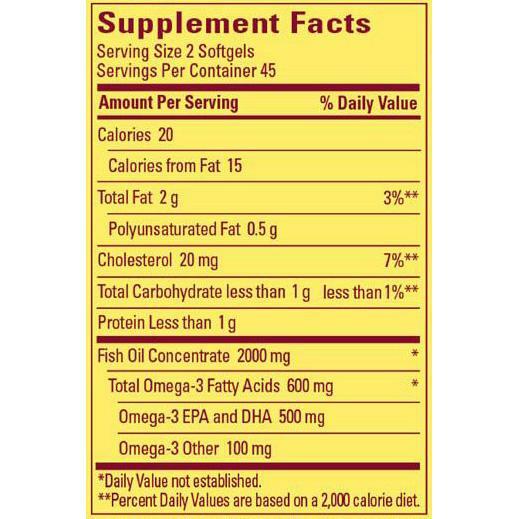 Find the fish oil supplement that fits your personal preferences and needs by visiting the official website. 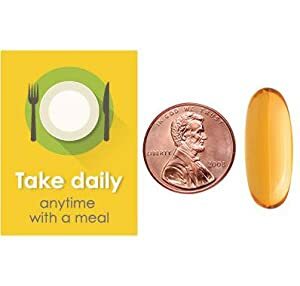 Take two softgels daily, with a meal. 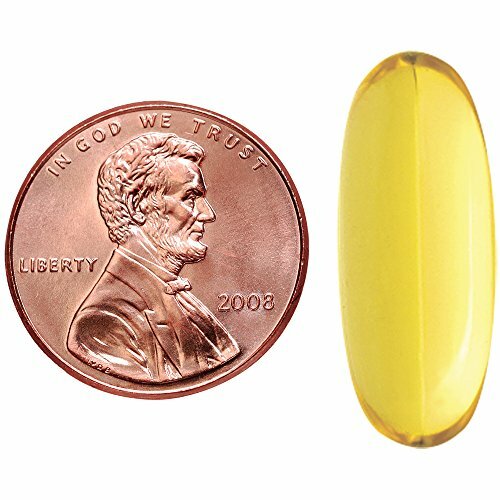 For easier swallowing, take with water before and during ingestion. 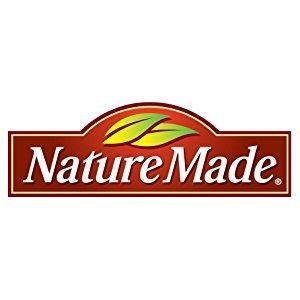 At Nature Made, we're committed to your health and well-being. For over 20 years, we've been supporting public studies and participating in clinical trials. 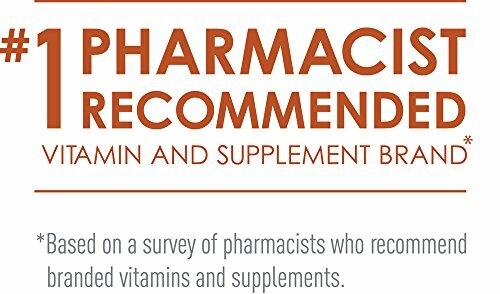 We also have a long history of making our own learnings available to researchers, healthcare providers and our retail partners. 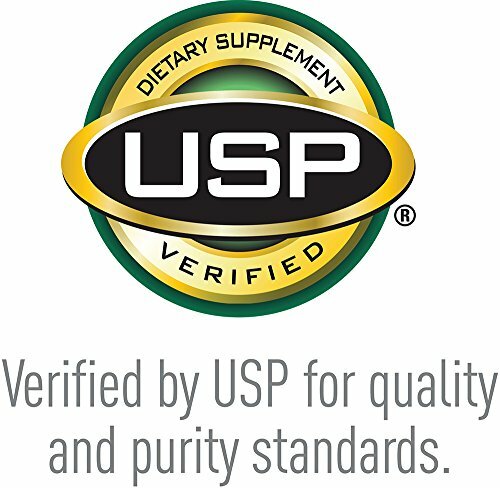 We're here, pure and simple, to help people lead healthier lives.